Please note, this is the 4th draft. Your comments, corrections, additions are eagerly solicited. And here we are at PAVE PAWS!! A month ago Thomas Page, Historian of Radomes, Inc. 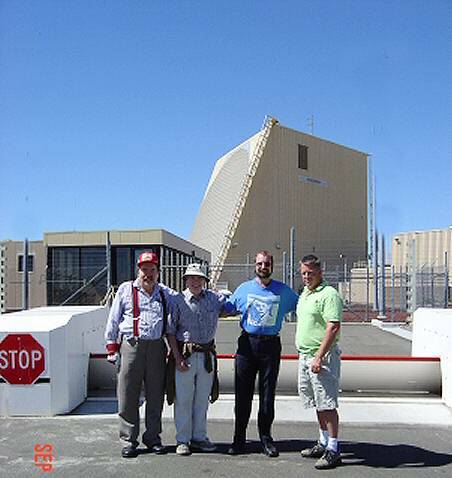 The Air Defense Radar Veterans' Association sent URLs to some images taken of his 1980 tour of the Cape Cod PAVE PAWS radar site, and suggested that I try to get a tour of the PAVE PAWS at Beale Air Force Base in central California. Ever the curious tourist :-)) I gave it a try, and as a tour is more fun (and likely) with a friendly group, I inquired about a group tour. Lt. Brady Smith (contact) replied that there was a group tour scheduled for the PAVE PAWS at Beale AFB for a likely weekend September 13, 2003 and that myself and a limited sized group could join - the list of tourees and their social security numbers to be submitted by Monday morning September 8, 2003. He explained that another Air Force office determine the time & rules for the PAVE PAWS tours - that he was just in the middle and totally dependent upon the PAVE PAWS organizaton. I sent out details to likely tourees and 4 hardy souls responded in time, but with the exact weekend date/time still uncertain. I e-mailed the list with social security numbers to Lt. Brady Smith on Monday the 8th. - Thursday, Lt. Smith called with the news that the tour date/time was definitely Saturday September 13, 11:00 A.M. and sent good directions how to get to the main gate from our San Jose, CA general area - 150 miles away - and a warning that our cameras were not allowed in PAVE PAWS. He was under the impression that the PAVE PAWS personnel would take pictures at our request, review them, and send appropriate pictures to Lt. Smith for distribution to the rest of us. It was a warm (90 degree F.) central California day. The fields were summer time brown. As we got close to Beale, we spotted the airport tower and what appeared to be many hangers, and the large strange shaped PAVE PAWS building on a little hill top maybe a mile further. Arriving a little early I try a bit to find a road around the base to survey the area. There seems to be no perimeter road. The Beale Air Force Base Main Gate Guard House has big yellow zigzag barriers to discourage literal gate crashing. The guard wearing camouflage and an automatic rifle told us to park in the short term (20 minute) visitor parking just inside the gate line. The USAF crews we saw inside the PAVE PAWS site -- Captain Nate Smith & the others, were wearing standard Olive Drab flight suits, not traditionally what one would think of when they see the word camouflage. We then went to the guard house, met friendly Lt. Brady Smith and Sr. Airman (SrA) Timothy Jenkins, showed ID at the guard desk, and received a visitor document. We then re-parked slightly outside the Main Gate (at longer term parking?) as requested. We went back into the secured area of Beale and were invited into an air conditioned blue Air Force van. (Central California can get hot, and today was warm.) SrA Jenkins drove and Lt. Smith tour guided us to the large strange shaped PAVE PAWS building way over there on the little hill top maybe a mile to the east. Tom Page, who has made many corrections to my Air Force related nomenclature in this document, complained about the physical appearance of the above guests. I suggest that he study Semiconductor Physics with Britney Spears. Lt. Smith told us that the unit operating the PAVE PAWS system is a separate group in the Air Force, with their own chain of command and security. "We" parked in the parking lot outside of the serious fence and Captain Nate Smith was waiting for us in the bright sunlight. He is in camouflage uniform, and his rank is in dull black bars. (I actually don't notice them until much later in the tour.) In a friendly manner - every one is friendly - he reminded us that we could not bring radiating or recording electronic devices into the restricted area. We had left cameras, cell phones, etc in the van. I inquired if my automobile electronic lock/unlock key fob was OK, and it was OK to bring in. He escorted us into the security entrance where we handed over out driver's licenses to the hard to see and hear person behind the thick glass who compared the picture ID with us and a list. By "we", I mean that Lt. Smith and SrA Jenkens also handed in their ID - they were formal visitors also! Every thing still seemed OK and we went into a glass walled passage way, three at a time, to get visitor's badges issued by the attendant behind another thick glass, and out the other side. I guess this way a large group would have more trouble overwhelming the security system. Ah - we are inside the fence. Captain Nate Smith is about to lead us west into the large PAVE PAWS building when I want to take a detour to see the large sloping south face with the large number of dipole antennas. OK - I scamper over to the east/west fence from the south facing sloped wall. The view is not good, a very small angle view but I can see a bit. The radar is said to operate in the 400-500 megahertz range (megacycles to us old fossils) This is about 3 to 10 times lower in frequency than most of the acquisition radar used in the usual anti-aircraft applications. (BMEWS (ballistic early warn) radar used the same general frequency as PAVE PAWS.) The wavelength would be about 5 to 10 times longer - about 0.7 meters or about 28 inches. The length of the usual 1/4 wave dipole antenna element would be about 7 inches - about in line with the antennas shown at the bottom right of this picture. local copy. There appeared to be maybe a thousand of these dipole antennas on this face. I think that Captain Nate Smith said that not all elements on a face were used. We then went into the small appearing door of this very large building - well, the door appeared to be normal sized - the building is very large. The door has copper fingers the slide into slots in the door frame - such assemblies are used to help keep radio frequency energy from going in or out when the door is closed. EMP (ElectroMagnetic Pulse) is reputed to be a big problem near (1000 miles?) an atomic explosion. Also, little electromagnetic radiation gets OUT of a protected area - probably another security factor. Inside it appears to be a normal - not very plush - office building - with no windows. Hallways, closed doors to offices, ... Captain Nate Smith explains that since this is Saturday, the normal administrative people are not here and the offices closed. He seems to imply that we would be welcome to chat with the people if they were here. We go to a conference room for an introductory briefing. The room has maybe 14 comfortable chairs around a long polished table and has a carpet and low echoes - easy to hear. The front of the room has a large screen and the back has a laptop computer wired to a suitable projector. Above the top of the screen is a row of red time displays of "UMT" "CLEAR" "PETERSON" and some other labels. A slide show - well OK - probably PowerPoint show is ready for us. This slide show is for administrative types - what unit reports what to what unit. Not much techie stuff. We find that the PAVE PAWS program started back in the 1970s to watch for (Soviet) ballistic missiles. About 4 years ago, the role was expanded to watch for space vehicles also. The equipment is currently being upgraded to better fulfil this role. PAVE PAWS has a claimed range of 3,000 miles. This is more than 10 times longer than anything I am used to. This is interesting (I presume it to be true). Trying to increase the range of radar is an interesting challenge. As I indicate at Range vs. Stealth, doubling the power (all other things staying the same) increases the effective range by a factor of 1.2. To get double range you need to increase power by a factor of 16. Increasing the antenna size and gain is a big help - still - 3,000 miles is a big step over say 200 miles. We see the various PAVE PAWS type locations, east coast, North Dakota, Alaska, California, ... A nice image shows the coverage of the various PAVE PAWS and other types of radars We discuss threat history and coverage. The 3,000 mile radius hemispheres are impressive when superimposed on a background on the North American continent. There is an extended question and answer period. The duty shift is responsible for identification, tracking, communicating findings its findings to higher headquarters. Captain ?? ?#02 was the duty officer, responsible for the operation of the room at this time. And so it was. During a Question Answer period, Captain ?? ?#02 seemed to notice some anomaly out of the corner of his eye, spoke a few quick soft words to the junior airman, and she quickly went to a large (25" ?) terminal and seemed busy with that for the rest of our visit to that room. The staff was in the ubiquitous camouflage (fatigue) uniform. The room looked similar to http://www.radomes.org/museum/photos/CapeCodAFSPAVEPAWSMA1981-1.jpg - but with a change of costume. There were general questions, such as determining an orbit or a ballistic path. The answer was I though a bit vague so I asked about the angular resolution of the beam - I was promised access to the Radio Frequency/ Radar specialist civilian ?? ?#01 who was reputed to know all the answers. There were also questions about "space craft". Did that include "space junk". Apparently not generally - the list assigned to Beale PAVE PAWS were individual space craft - that might include "spy" satellites that might be changing orbit to look at some other ground target. There was mention that the last return of the space shuttle Columbia was anomalous. Its expected track had been set into the data base of expected tracks, and that as it passed over California, it was sufficiently off of that track as to be missing, and was treated as an unexpected track. I had not remembered the Investigating Commission mentioning PAVE PAWS tracking of the Columbia. They did vaguely mention "radar tracking" but did not provide this level of interesting detail. I neglected to ask just how far off track the Columbia was. We just about ran out of questions about the room. I must mention that we were never hurried. There were interesting things we did not see, but pushed we were not. We were shown the door of the radar room, but advised we could not go in because there was some active problem. We entered the computer room and met jolly red faced civilian ???#02 . Here was a Control Data CYBER 170, Series 800. Actually a pair, one hot backup to the other. I was in seventh heaven!! Background - I had made a good living from, and really like, computing machinery. (It is *great* to be well paid for having fun ;-)) I had been a systems programmer on the CYBER 170's predecessor - the CDC 6600 - for five mostly wonderful years. I had quit CDC in 1972 because I thought CDC had lost its way. Control Data Corporation was in big trouble by about 1985 and formally died in 1992. Years later I served as a docent at the Computer History Museum and made an antique computer oriented web site. In any case, the CYBERs seem code compatible with the lovely CDC6600s with similar Peripheral Processor (PP) operation. The big difference is CMOS memory with parity, and physical construction. The CYBERs are still freon cooled with a slightly different cord-wood module construction. The "backplane" (pre-"motherboard") is wire-wrapped in the CYBER 170s (likely with Gardner-Denver machines?) but the interconnects are still twisted pair, but not color coded. There appears to be many fewer really long wire-pairs between close connections - not using wire lengths as delay lines so much? Even the "Dead Start Panel", a 12 x 12? array of switches used to start the computer (rather than the BIOS in you PC). These CYBERS had 15 PPs, one group of 10 and one group of 5. They were big maybe 10 feet long. with the CDC silver and black logos and brown cabinets. A large friendly older civilian ?? ?#03 introduced us to the operation of this room. If the power from both incoming civilian lines stops (or I imagine an extremely high alert status), the operator can start any 2 of the 4 already warm diesel engines/generators and have them on line in about 40 seconds. The diesel engines are rated at 1,300 horsepower, the same general design as for railroad service. The generators can output about a megawatt of 60 cycle/second (Hertz) power. To provide the fast startup, the engines have the usual compressed air starter motors and the crank cases and engine blocks are preheated to about 120 degrees F. He did not mention synchronization of the phases, but that should not be a problem. I noticed that the voltage reading kept about the same, but the power (kilowatts) varied wildly and not in any recognizable repeating pattern. I had rather expected that the software driving the scheduling of the radar beam activity would try to smooth the power requirements about some average - but this was not the case at all. The power meter varied between a peak value and some base load in what appeared to be a random pattern - who knows - maybe to provide fewer clues to people snooping the radar actions? and maybe the random looking operation would make some forms of jamming or spoofing more difficult or impractical. The four big diesels were painted blue, the generator room, which the monitoring room overlooked, was clean and tidy. Good thing my wife was not there to compare that operation with my section of our garage!! The above rooms - conference, Tactical Operations Room? (TOR) , computer, power monitoring - were in the main three sided building. Communications had a separate one story build - again with a thick EMP door the probably had considerable blast resistance. Captain Nate Smith knew how to get through this outer door, and the combination of a further inner door. There were two communications systems in this room. The first a gray set of 19" racks about 14 feet long with lots of knobs, switches, pull out things. He said that this was connected to the large green parabolic antenna outside that we had seen. The antenna and this equipment were no longer being used, and when the budget allowed, would be removed. He then showed us a pair of 19 inch racks that he said was much more modern equipment and was connected to the white dome.
" The OLD system which had the big AN/USC-28 equipment rack & the green SATCOM dish antenna in the stowed (pointing straight up) position was the "JRSC" (pronounced "JAR-SEE") system -- Jam Resistant, Secure Communications -- which used the Defense Satellite Communications System (DSCS) network. It was taken off-line in February of this year, and will soon be removed from the site. 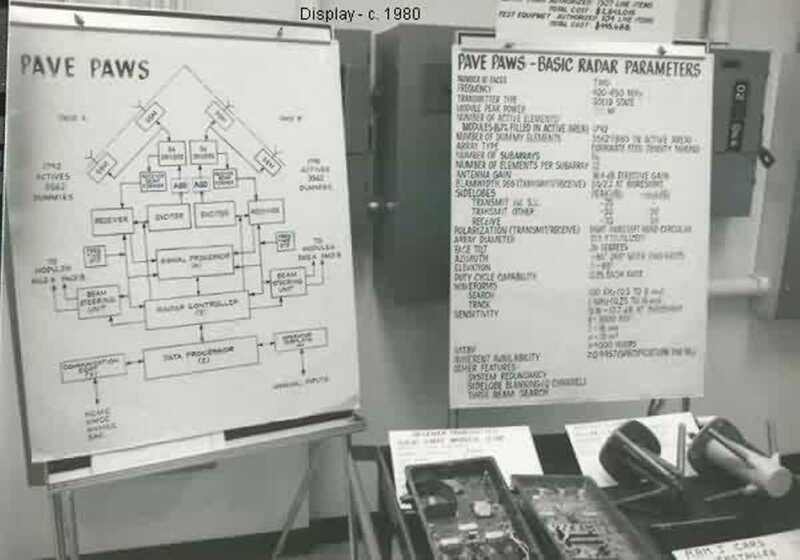 The current comms system uses the MILSTAR -- "MILitary Strategic, TActical, and Relay" -- satellite system, the antenna for which was housed in the white radome." He and our tourist communications expert had a conversation full of words such as noise floor, secure communications, ... that went right over my head. We thanked and shook hands with Captain Nate Smith, and left through the security hallway the reverse of our coming in - three at a time - trading our visitor badges for our ID at the little thick windowed station in the middle of the glass hallway. We are given dark blue souvenir Air Force T-shirts and two unit patches. The unit patches are equipped with Velcro backs for easy switching. We pop back into the van - SrA Jenkins driving, Lt. Smith tour guiding. I should explain that Beale is BIG - HUGE - something like 60 thousand gently rolling to hilly acres or about 10 square miles. 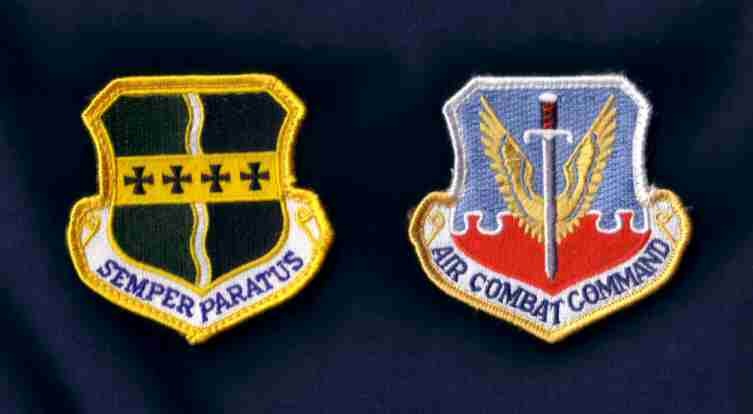 The Air Force seems to want to fill it, however thinly. Nothing is close to anything else. With out a car you have no clue of getting to any other building ;-) - Well that is just about true, mostly. You certainly get that impression. There are green lawns and the place looks livable. Background - I had re-visited Ft. Bliss Artillery School where I had spent a year studying the Nike antiaircraft guided missile system. In 1999 the place looked sad and forlorn, dry yards, old dusty everything, old cars, the kids looked on shabby, the mothers looked hot, tired, and out of sorts, not the kind of environment you would recommend to people wishing to do good things for the rest of us. Ft. Bliss looked depressed and I was depressed thinking about how depressing it must be for the soldiers and their families living there. I was ashamed that "we the people" had elected an administration that treated their/our soldiers in such a shabby way. Hmmm - Back to Beale - Lt. Smith is a fun tour guide, He showed us the green golf course, and a green creek area among the brown hills, and a mile away the well tended looking elementary school, and seeming a mile away with nothing much in between a well tended middle school. We discussed the history of Beale - It had been Camp Beale when the Army had it in WWII, there were the foundations of the prisoner-of-war buildings where 5000 captives had been kept. and a mile away the a clump of builds that had processed U-2 (and I presume SR-71) photographs. Another seeming mile brought another loose clump of building - the administrative area with the general's office and other buildings no further apart than say 75 yards. I notice the open spaces. I come from the San Francisco Bay Area of California where a lot is 1/8 acre and costs say $200,000 on the flat land, and *much* higher if you have a view - of anything - Houses are spaced 10 feet apart - with a fence in between I notice space in a big way. Now we are near the flight line and the aircraft savvy amongst us start asking Lt. Smith about the KC-135 (940th Air Refueling Wing) and the display U-2 (which version?) 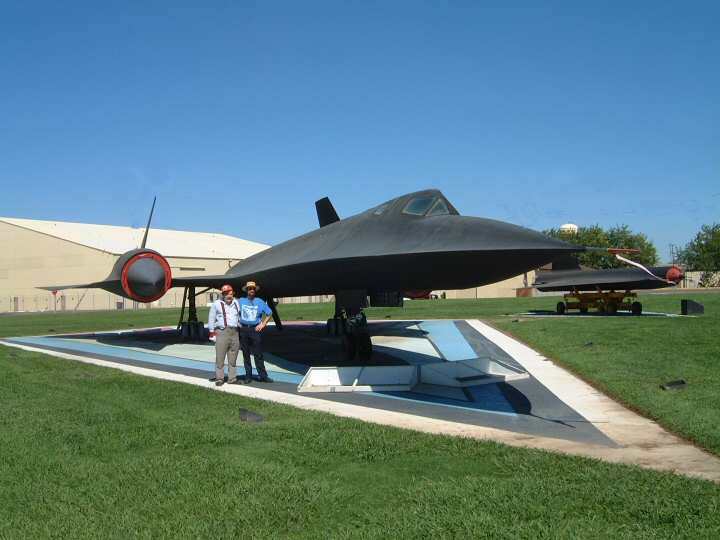 and we come the an SR-71 "BlackBird" parked as a display !! The SR-71 is regarded by some as the greatest aircraft achievement ever. Thank you Kelly Johnson (Lockheed Skunk Works boss). We get out and run over to it. I don't think I have ever touched one before :-)) Looks as though the engines are still in it. My eldest son "the mechanical engineer", is with me, we appreciate fine and challenging aircraft technology. We examine the small tires and the shielded wheel well they will go into. 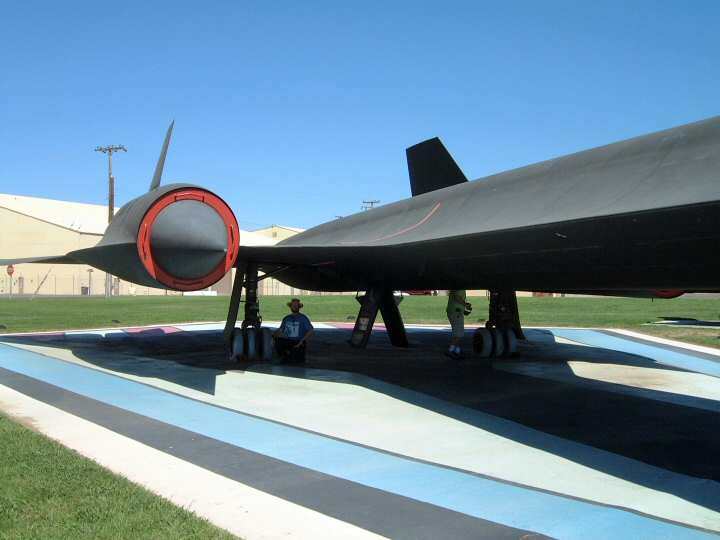 The SR-71 cruised so fast that special care had to be taken to keep them cool. 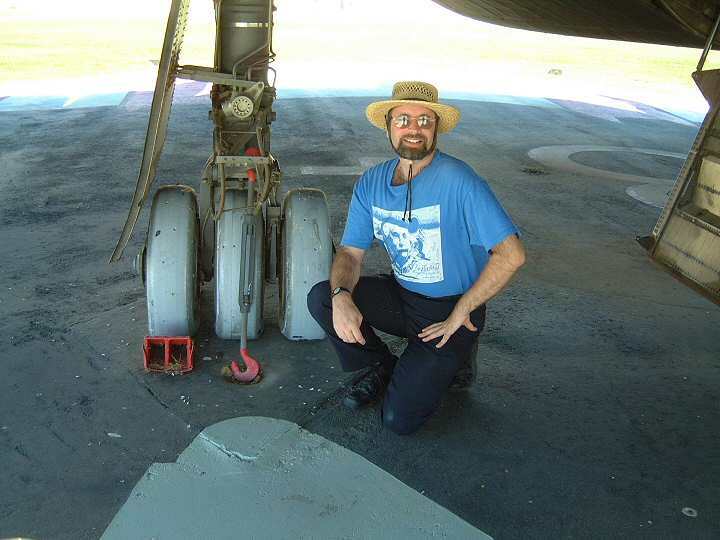 Looking at the tiny tires we wonder what pressure they needed to hold up such a big plane and its fuel load. We remember the tire problems of the Concord. My 1st son with tires. Each tire had to support over 10 tons. Rated "22 ply" filled with 400 psi nitrogen. Silver to reflect heat. More of the SR-71 The ladder looking things are really wheel doors with heat shielding to protect the tires. And one of the 2 engines. 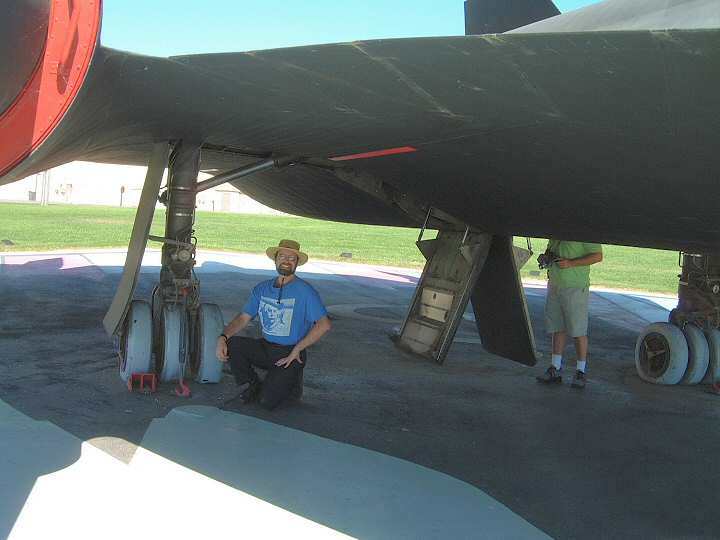 The SR-71 could go as fast as our Nike Hercules missiles !! http://www.radomes.org/museum/photos/CapeCodAFSPAVEPAWSMA1980-1.jpg - closer to the installation - I presume that there is a security fence further on. http://www.radomes.org/museum/photos/CapeCodAFSPAVEPAWSMA1980-4.jpg - Tom Page says "shows the inside of the antenna face and our tour group -- members of the 762nd Radar Squadron (SAGE) from North Truro AFS, MA (Z-10). I'm not pictured as I was the photographer. (This was during my 2-month stint as Interim Commander of the 762nd RADS.)" - some even understandable by mortals.